In a move that perhaps should have been made last year, Bethesda confirmed it won't be talking about its next Elder Scrolls game or the briefly-teased Starfield title at this year's E3. "That's just a little sneak peek at the technology that we've been building," said executive producer Todd Howard during a panel at PAX East when discussing a new game engine. "People are going to see [the tech] at first, actually, in Starfield. And so that tech will have like the second version of it in TES6, and – before everyone asks – please be patient. It's going to be a long time. It's not something we're going to be talking about at E3 – either of those games – this year." 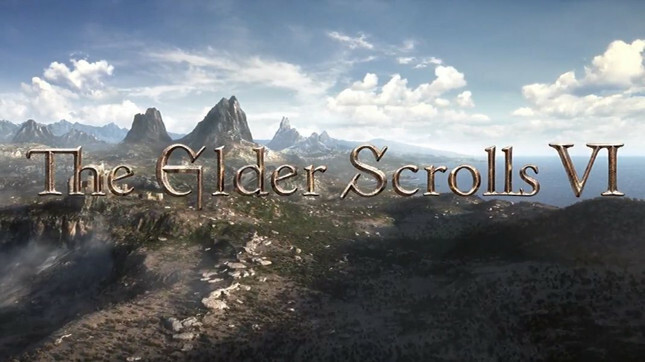 The Elder Scrolls VI and Starfield were revealed at Bethesda's 2018 E3 press conference, the latter being noted as the first original IP to be announced by studio in 25 years. While we won't be hearing about either of these titles at this year's conference, there's still plenty to look forward to. It's likely we'll see Rage 2, which releases shortly before the expo, and Wolfenstein Youngblood, which releases the month after. Plus, if I were a betting man, I'd say we'll be seeing gameplay for the highly-anticipated Doom Eternal, as well as discussion about the future of Fallout 76.